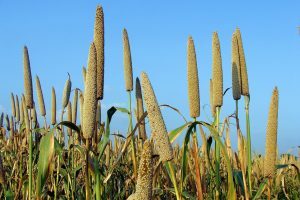 Millets are our new-age, climate-smart cereals. These nutrient-rich grains, that were fast fading away during the 2000’s, making way for rice, wheat, pulses and oil seeds, are now making a comeback. Millets come with multiple benefits: they can grow in poor soil conditions, and consumes less water. To get a relative sense, to grow 1 Kg of rice requires 5000 litres of water, whereas millets hardly need 250-300 litres. Millets also require less pesticide, and can withstand higher temperatures. When this writer visited tribal villages of Madhya Pradesh and Chhattisgarh recently, the local people spoke about millets like Kodo and Kutki that once used to be the staple of their diet. During the hard days of poverty when all their income depended on what they earned from selling forest produce, it was the gruel made from kodo and kutki that had sustained them. Now, except in a few villages, it is hardly grown and people have forgotten about it. And to think that these grains have a cultivation history of 3000-5000 years! Why did millets nearly disappear? The onset of irrigation-based farming pushed preferences towards the cultivation of rice, wheat, pulses and oil seeds over millets. It appeared that the drudgery of post-harvest treatment of millet – cleaning and processing, was labour-intensive. Another reason was that when the world moved towards market-oriented agriculture, the variety of crops grown, or the ‘food basket’, shrunk – not just in India, but around the world. The millet-growing regions of India reflected this: In 1965-66, 37 million hectares had been dedicated to millet cultivation, and it fell to 14.72 million hectares in 2016-17. This decline was partly due to the change in food habits, when a bias against millets crept in after the green revolution, when it began to be perceived as the poor man’s diet. The concerns from the farmers’ side, on the other hand, are mainly about low productivity and profitability. Today the Government is bringing millets back as a potential ‘new’ tool for fighting socio-economic issues like malnutrition and rural poverty. This is also a percolation from a global level – of the zero hunger challenge set by the UN Secretary General Ban Ki-Moon. One important component of this is to address all three forms of malnutrition – under-nutrition, protein hunger and hidden hunger, which millets easily address. Vilas Tonapi, Director of the Indian Institute of Millets Research, Hyderabad, talks about its spread in India, where millets are grown in 21 states. There is a major impetus in states like Karnataka, Andhra Pradesh, Tamil Nadu, Kerala, Telangana, Uttarakhand, Madhya Pradesh and Haryana. The institute is trying to introduce it to northeastern states like Manipur, Nagaland and Meghalaya, as it is a major part of the diet of the tribes of the region. In Gujarat too, the cultivation area under ragi (finger millet) has increased. The Deccan Development Society in Telangana, which works with about 5000 small and marginal farmers, is seeing a revival of traditional millet seed banks. Each of these farmers has started growing millets in at least some part of his small patch of land. The village level committees or ‘sanghams’ maintain seed banks as they help women members plan their crops for the year. says Sangur, a farmer from Karnataka. However, farmers can do with better support. 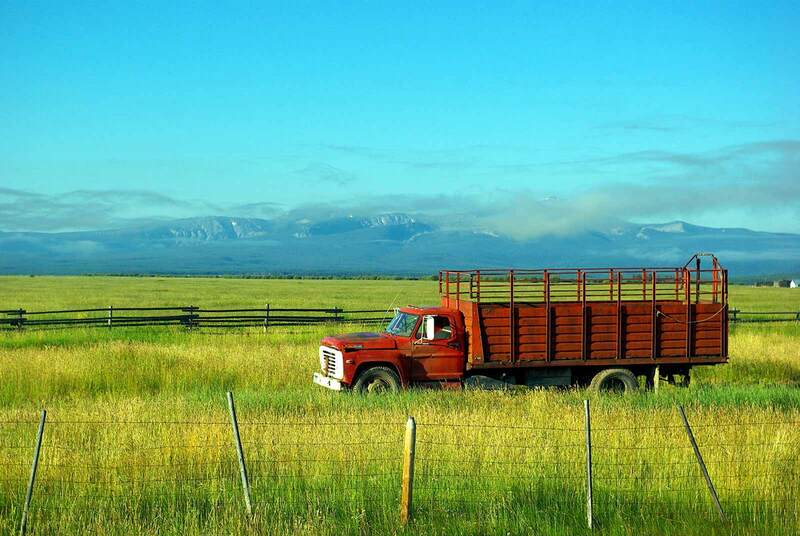 For example, providing them with harvesters and processors will help them cut production costs. Processing facilities too, if available closer to the farms, will give a boost to its uptake by farmers, so that they can save on the transport cost of taking it to a faraway place for processing. Millets had not been on the Government’s procurement list until 2013. But now, the National Food Security Act of 2013 lists millet as an item along with rice and wheat, including it for the first time in the food security system. Such public procurement will create demand, says Agricultural Scientist Dr. M.S. Swaminathan. Another plus point is that the Agricultural Prices Commission has announced a minimum support price for millets. Several states are also distributing millets such as bajra, jowar and ragi through the public distribution system along with rice and wheat. Efforts are on also to include smaller millets in the mid-day meal schemes in government schools, especially in Karnataka and Telangana. Corporates and start-ups are not to be left behind in this wave of millet popularity. Many of them have already introduced millets in their product range. The big selling point is that millets are gluten-free and the export demand is also high. All this attention on millets is fuelling a start-up revolution and creating jobs in the health food segment. Apart from retailing of millet-based products, cafes too are now serving millet-based products, and are becoming popular in cities. “This awareness is driving consumption”, says Arun Kaulige of Kaulige Foods, a techie-turned restauranteur and retailer, in Bengaluru. Many youngsters feel that millets are a healthier option compared to rice and wheat, and they provide a ready market for these products. Even the wheat-dominated North India has seen an increase by 4-5 times in sales in over a year’s time. What better way to combat climate change and deal with lifestyle disorders? Millets are rising up the popularity chart. Way to go!